Sgt. 1st Class Robert J. Mogensen was born on Feb. 17, 1978 in New York. He was a senior Special Forces weapons sergeant assigned to Company A, 1st Battalion, 3rd Special Forces Group (Airborne) at Fort Bragg, N.C. He was killed in Afghanistan on May 29, 2004 when his vehicle hit an improvised explosive device near Kandahar. 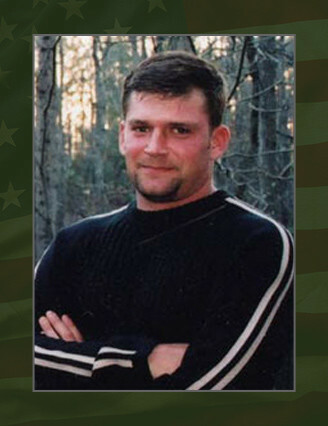 Mogensen was a native of Leesville, La., and joined the Army in 1995. He completed basic infantry training and airborne training at Fort Benning, Ga., before being assigned to the 82nd Airborne Division at Fort Bragg, N.C. After completing Special Forces training and French language training, he was assigned to 1st Bn., 3rd SFG in October 2000. His awards and decorations include the Purple Heart, the Army Commendation Medal, the Army Achievement Medal, the Army Good Conduct Medal, the National Defense Service Medal, the Global War on Terrorism Expeditionary Medal, the Global War on Terrorism Service Medal, the Humanitarian Service Medal, the Army Service Ribbon, the Combat Infantryman Badge, the Expert Infantryman Badge, the Parachutist Badge, the Ranger Tab and the Special Forces Tab. Mogenson is survived by his wife, Tanya, and their children Joshua, 10, Vanessa, 6 and Leilani, 8 weeks. His mother, Roxanne Mogensen, and his father, William Mogensen, also survive him.